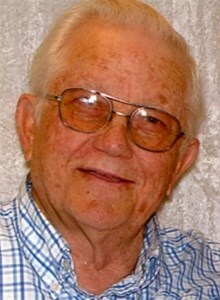 John D. Glidewell, Jr., 85, of Topeka, passed away on Tuesday, April 9, 2019. He was born March 29, 1934 in Valencia, Kansas, the son of John Dewey and Nellie Florence (Morris) Glidewell. John graduated from Enterprise Academy, Enterprise, Kansas. He had resided in Topeka for most of his life. He was employed by the City of Topeka in Water Pollution Control for 44 years before retiring in 1993. John married Janice McKemmy in 1954. They later divorced. To this union were born two sons; John Ward (Kim) Glidewell and James Vance (Jill) Glidewell. They survive. John later married Patricia Pickens in 1961. Survivors include their children; Jay Christopher (Jan) Glidewell, Julie Anne Glidewell, daughter-in-law; Linda Glidewell, two grandchildren; Joshua D. Glidewell and Jessica J. Glidewell, great-grandchildren; Jailey Garinger, Ashlyn Garinger, Jacksyn Glidewell, Andrew Glidewell, Acelynn Glidewell, several step-grandchildren and step-great-grandchildren and his sister; Mildred Meeker. John was preceded in death by one son; Jeffrey Linn Glidewell, one grandson; Justin Glidewell and his siblings; Virginia Thornburg, Lucille Toy, Marylou Axelson and George Glidewell. Memorial services will be held at 11:00 a.m. Monday, April 15, 2019 at Dove Southeast Chapel, 2843 SE Minnesota Ave. where the family will receive friends one hour prior to service time. Private inurnment will take place in Valencia Cemetery at a later date. In lieu of flowers, memorial contributions may be given to the organization of the donor’s choice. Add your memories to the guest book of John Glidewell, Jr..